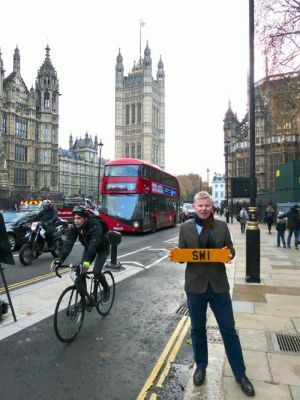 Two unique number plates, ‘SW1’ and ‘1SW’ have sold for over £300,000 at the COYS True Greats car auction in Westminster. Bidding was fierce for the plates which had caused huge interest when they were first listed for the auction. He added: "The fact that they were sold at SW1 was an added bonus." Another number plate ‘1 IOU’ was also a highlight of the auction which sold for £20,700. The auction also featured classics like a 1974 Ferrari Dino, a 1959 Facel Vega HK 500 and a 1962 Jaguar E-Type ‘Flat Floor’ Roadster. The Ferrari Dino is notably one of only 63 known cars finished in Nero black from new. It sold for £248,000. The Facel Vega HK 500 is a unique barn find having been out or circulation for many years. It sold for £76,000.